When it comes to Social Entrepreneurship, it is not new to India. Social entrepreneurship is the process of pursuing innovative solutions to social problems. More specifically, social entrepreneurs adopt a mission to create and sustain social value. It is my pleasure that I have interviewed Anil Kumar Gupta, IIM-A professor and founder of Honeybee Network, famous for recognizing rural innovators. He is in the list of India's Top 10 Social Entrepreneurs after Mahatma Gandhi, father of the nation and Dr Verghese Kurien, father of the India's milk revolution. And in the same direction I have got chance to interview, Hasina Kharbhih, founder and Managing Director of Impulse Social Enterprises (ISE), a social business venture committed to the promotion of a just and equitable society and to the goal of enabling individuals to live a life of dignity and respect. Impulse Social Enterprises (ISE) is a social organization from North East India that develops high quality handmade textile products made by rural village women of from North East India to secure them a fair wage and path out of poverty so that they may continue to live their beautiful traditional lifestyles amidst a globalized world. Impulse Social Enterprises has recently won India's first CNBC Awaaz - Masterpreneur India Award presented by Sona Koyo in association with Tradeindia.com and Dainik Bhaskar for the good cause and innovative business solution. In impoverished rural areas that rely on agriculture for livelihoods and subsistence, woman's work is not always economically valued. Out of desperation and deceit young girls are sold into slave labor and sexual exploitation. Impulse, an NGO, has been fighting human trafficking in the Northeast for over a decade. It has NGO partners in each of the eight states of the Northeast that help report, rescue, rehabilitate and repatriate trafficked victims. To prevent such exploitation, Impulse's partners help finance and manage local production of artisan crafts for rural livelihood development. Now ISE connects artisans of North East India and their products to distributors and buyers across the globe - it facilitates these connections by using the Internet marketplace and placing the products under one brand - Empower. Profits of the business will benefit the village artisans as well as the local development organizations that conduct various social work in the respective areas. As the business grows, Impulse's profits will also be cycled into grants for social cause. In an exclusive interview to SME Times, Hasina Kharbhih has spoken about her journey of becoming a Social Entrepreneur. Please tell our readers more about Impulse Social Enterprises. 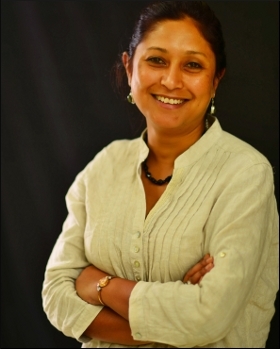 Hasina Kharbhih: Impulse Social Enterprises (ISE) is a business that drives transformational change. It develops products, services, distribution channels and access to markets for those in need of sustainable livelihoods, while investing in partnerships with other development organizations to advance broader social and economic rights, for women. The products feature different tribal patterns native to the producers fashioned into place mats and table runners, scarves and stoles in a quality suitable for 5-star hotels and fine-dining establishments as well as ordinary homes. While profits are generated, the aim is not to maximize financial returns for shareholders but to grow the social venture and reach more people in need effectively. Wealth accumulation is not our priority - profits are reinvested in the enterprises in order to fund expansion. Investors in the organization are interested in combining financial and social returns on their investments. ISE connects artisans of North East India and their products to distributors and buyers across the globe - it facilitates these connections by using the Internet marketplace and placing the products under one brand - 'Empower'. One of the main efforts we have been trying over the years is to prevent exploitation and protect women and children from unsafe migration. This has led us to embark a journey to fight human trafficking in the Northeast in which we have partnered with other organizations in each of the eight states of the Northeast in an effort to help Report, Rescue, Rehabilitate, Repatriate and Reintegrate human trafficking victims. Our commitment and responsibility towards social upliftment have brought us to work hard in creating jobs and opportunities to local producers of the region. We aim to integrate local artisans and workers into the greater frame of economic flows between India, Asia and the rest of the world in a sustainable and responsible way. ISE is focused on creating more economic opportunities for rural artisans through the use of the internet especially, social media to market their products and reach to customers across the globe. These technological opportunities can create economic benefits something that did not exist previously. Impulse's mission is to utilize these technologies for the eliminating exploitation--especially in human trafficking. Impulse Social Enterprises uses the technology of the Internet to connect the producers of the North East to the rest of the world. When and why this idea of starting Impulse Social Enterprises has come to your mind? Hasina Kharbhih: It all started 20 years back when I was still very young. My experience as I started working as a Leadership Training Services (LTS) volunteer during my school days in St Joseph School, Shillong paved the way to what I am today. My constant involvement with youths and the problems they faced be it exploitation, unemployment, and creating market for indigenous handicraft and handlooms and so forth, can be so called the pillars to the foundation of my work. Hailing from Shillong and Northeast India, I could see that this region has a huge potential in the market place. The region is rich with natural resources and indigenous produce that needs to be tapped. And there are also many social problems and conflicts that needs to be addressed and tackled. Northeast India is a potential hub for international trade as it enjoys a strategic position with shared its borders with countries like China, Bhutan, Bangladesh, Nepal and Myanmar. Darwin's theory of evolution states about "survival of the fittest", people in North-east too have to strive hard to setup a market and display the gallery of hidden talents that they have in stored in north-east. People here engage in different livelihood means like crafts, agriculture, handicrafts etc at different occasion. They don't stick to one mode of occupation, rather they indulge in variety as the seasons change and demand arises. Production of different goods in NE varies because the market is not uniform. North-east is looked up as a single entity but the fact is there are eight states spread over a huge land mass with cultural, language and religious diversity which adds to the difference. With this in mind, ISE formulates ideas to help in designing products based on inputs and sources products by emphasising on skills and giving training with the help of the state partners. At what amount of money you have started with? Please share your financial state at start like seed money, working capital etc. Hasina Kharbhih: In its initial stage, ISE was started from money collected and funded by members which amounts to Rs 2,38,344 and seed fund received as gift worth Rs 6.6 lakh. Who are your prospective buyers and what is your distribution model & marketing strategy? Hasina Kharbhih: 'Empower' brand reaches locally as well as internationally. The prospective buyers are individuals, business and governments. The Empower line of artisan woven products are modified into unique and stylish designs for the home and include table mats, bags, lamp shades, scarves, and table clothes that may be purchased by the consumer, be it a corporation or an individual. In addition to the tangible product, we allow our end users the opportunity to support important human rights causes, namely, anti-human trafficking activities and fair-trade and fair wage work for at-risk communities in North East India. Not only do consumers support human rights, but they also receive something useful in return. Products are distributed and sold in the market eliminating the middleman that usually stands between the artisans and the market and who often dominate price, Empower is changing lives, all through the Internet marketplace and elimination of bureaucracy through direct contact with communities of producers. One of the main strategy in marketing is the use of internet as a platform for dispatching and filling of orders from prospective buyers. We take orders online as well as displaying the products. Currently an eCommerce website is being developed to directly offer the local products to end users worldwide. Additionally existing online marketplaces -- such as Etsy.com and eBay.com -- are evaluated as potential way for resale. Conventional ways of selling are used as a complementary step to building an online presence and spreading awareness of the products. You have founded Impulse Social Enterprises in November 2010. How you judge your three years old baby "Impulse Social Enterprises" now? What is the present size of your company? Financial size, turn-over, number of employees and number of branches. Hasina Kharbhih: Impulse Social Enterprises, as i have mentioned earlier, is a bussiness with a role for bringing transformational change. ISE is able to connect artisans of North East India and their products to distributors and buyers across the globe. It not only brings out quality products but products which changes trend. So far ISE is able to keep up the good promises and bringing social changes through its services and products. Financially, ISE is in its initial roll out stage. The turn-over of the year 2012-13 is Rs 4,20,000. At present the strength of employees is eight, four are permament and four on a contractual basis. E-Commerce is offering huge business opportunities to sell your product across the globe. What Impulse Social Enterprises is doing in this direction? Hasina Kharbhih: One of the main strategy we ISE has adopted in displaying and selling our products is the use of Internet based communications as part of our everday businesses. Currently an eCommerce website is being developed to directly offer the local products to end users worldwide. Additionally existing online marketplaces -- such as Etsy.com and eBay.com -- are evaluated as potential way for resale. Conventional ways of selling are used as a complementary step to building an online presence and spreading awareness of the products. Being a Small and Medium Enterprise (SME), what were the major challenges you have faced during the journey of nurturing your organization? Hasina Kharbhih: As a first generation entrepreneur the first hurdle is to create the network. It takes a lot of effort and education to create a network and recognition that connects people with the mission of the company. Social entrepreneurship is unique in that relationships with people who have a high value for social change. Finding people with a similar vision and willing to contribute is difficult. Attaining financial resources with the same criteria can be equally challenging. Getting the right man power also difficult. It is not high paying job and requires a lot of multitasking. The incentive for employees to stay must be the mission, not the money. The North East is a less ventured area so the learning curve is higher. Understanding the priorities of each artisan in the various villages and developing a mutually beneficial work plan takes creativity. However, we are still progressing and sharing the company mission, values, and products is ongoing. We are taking advantage of marketing experts to spread the word and have hired one in particular. Through being involved with many different social entrepreneur organizations we are able to create and develop important partnerships. Exim Bank has invested in material, training, and storage space. They will offer a line of credit for export costs, as needed, as well. Villgro, among others, have helped us make beneficial connections who are interested in the mission and contribute through knowledge and contacts. Through media attention ISE is connecting with more and more like-minded people who are interested in working here. Including others, CBN (Canadian Broadcasting Network) and ABC (American Broadcasting Company) have reported, this year, on the work Impulse NGO Network has conducted. The Hindu also did a report on Impulse Social Enterprises called, "Dressing It Up". Being on the field and connecting with the artisans and their work has helped us to avoid common mistakes. Also, understanding the market and its interests influences our flexibility in design. Do you see that being a woman entrepreneur was a challenge? And also did your region (northeast) barbed the road to success? Hasina Kharbhih: As a social and women entrepreneur, i am a person who takes things positively no matter how difficult it is in short time, nothing is impossible and changes can happen. I am workaholic totally committed and enjoy what I do. As a entrepreneur I am married to my vision and I cannot rest until I fulfill my vision. Challenges are part of life so the more the challenges are the more I get inspired and strive hard to accomplish my goal. Hailing from Shillong situated in Northeast India, it is well understood that smuggling and counterfeiting along the long porous border with neighbouring states is inevitable which has become a great menace in the region. In addition, lacking national and economic integration, a multitude of competing interest groups, as well as missing infrastructural development, has led to a multitude of problems and conflicts in the region challenging the integrative and accommodative capacity of Indian democracy. Impoverishment, porous borders, and lacking education turn Northeast India into a target for human trafficking. Nevertheless, with its diverse natural resources, huge hydro-electricity potential, affluent bio-diversity and rich cultural heritage, the region has many possibilities for economic development. In addition, the Look East Policy, enacted in 1991 as an attempt to forge closer and deeper economic integration with its eastern neighbours, could uplift the Northeast being geographically situated between mainland India and Southeast Asia. Hasina Kharbhih: Through Impulse Social Enterprises, we hope to develop goods, services, and markets to promote sustainable livelihoods for those in need and will invest in other development organizations that advance human rights for all--particularly women and children. Through quality products and services that engage customers in social responsibility, Impulse Social Enterprises will seek profitability to ensure its long term sustainability and the realization of its Vision. My objective for the future is to provide a service that ends poverty and empowers women artisan entrepreneurs. This will in turn prevent unsafe migration. In regards to numbers, this will affect 8 North Eastern states and Myanmar, approximately 20,000 women artisans. Also, I would like to see ISE expand and multiply to all South East Asian countries, the brand and model being replicated.